Though necessary for your business to thrive, managing change – and the employee resistance that often comes with it – can be a demanding and daunting process. A company’s products and processes may be affected even when the changes are miniscule. Accordingly, organizational changes should become a focal responsibility of both managers and decision makers. Managing change plays a crucial role in establishing efficient and controlled processes throughout the company’s operations. Any adjustments that are not tracked and well-communicated may affect your overall system, stymying the progress of adaption and adjustment. Remember that adaptability and change are precursors to continuous improvement, but they may require removing organizational roadblocks – most notably, established processes that are sluggish, ruled by inertia, and no longer efficient. Change is a company-wide effort, requiring a great deal of communication and flexibility. The best way to minimize resistance and fear is to keep employees informed. Explain the reasons for the change and the benefits that will result from it. A proactive and open approach not only raises employee morale but enables the company to better achieve its business goals. 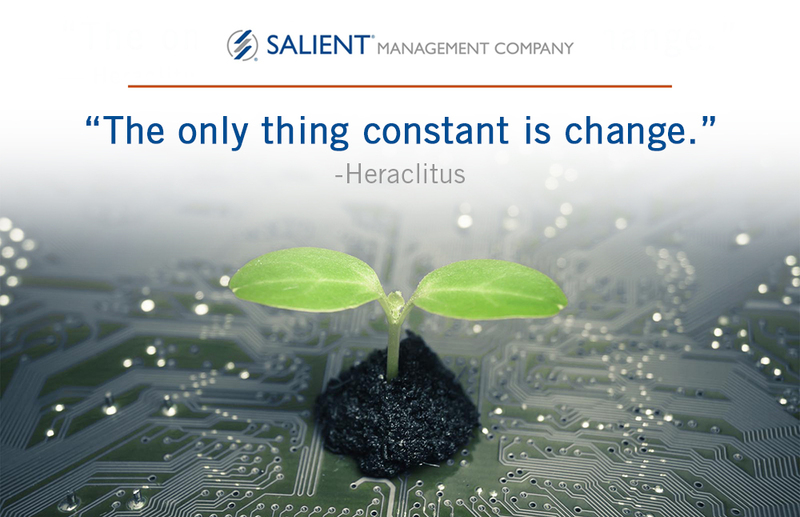 No matter how your organization has managed change in the past, Salient’s multi-dimensional technology is committed to helping businesses expand their potential and develop a new kind of thinking when it comes to agility and change management.